The future may be hard to predict, but one thing is certain – intelligence and quick thinking will always give your child an advantage. If you want your child to succeed in school, college and work, many factors are involved, but there is one thing that any mother can control: what she eats during pregnancy. The foods that you eat while carrying your baby have a huge influence on their brain development. If you fail to supply the right nutrients, or too many of the wrong ones, it can add or shave points off their IQ before they even see a schoolbook. Give your infant a mental boost by eating these beneficial foods. Infant nutrition is a hot topic among scientists, and we know plenty about what substances a growing brain needs to develop properly. All nutritionists agree these days that eating fish is one of the best things that an expecting mother can do. That’s because most fish contain high concentrations of omega-3 and omega-6 fatty acids. Ignore the “fatty” aspect — these nutrients won’t pile on the pounds. Eating a diet rich in both kinds of omega acids stimulates brain cell production and helps to avoid anxiety, which may promote a better-adjusted personality in children as well, so it’s a win-win situation. We are all told to eat a balanced, diverse diet to provide the nutrients that our bodies require, but this is especially important for expecting mothers. That’s not just because she needs the vitamins and proteins to feed herself and her child. Research suggests that eating a wide variety of foods accustoms the unborn child to many different tastes and smells. If you eat a varied diet during pregnancy, by the time they are born, your child will have experienced many of the smells and tastes that they will encounter. The developing fetus takes its cue from what its mother eats. If mom eats it, then the baby processes it as “good” and the child is more likely to eat it. This has obvious advantages when trying to prompt children to eat their greens. On the flip side, it is more evidence that mothers should avoid alcohol. During pregnancy, there is a temptation to binge on unhealthy but satisfying meals. That’s fine — after all, you can’t always beat natural cravings, and your body needs carbs to deal with pregnancy. However, it is vitally important that mothers don’t overeat junk food, and not just for their own benefit. If you eat too much junk food during pregnancy, it has massive effects on what are known as the “opioid receptors” in your child’s brain. These cells are part of the body’s energy regulation system. If they don’t function properly, people find it harder to control their intake of fats and sugars – needing more of both to achieve a satisfied feeling. This makes them much more likely to gain weight in childhood and later life. OK, not all junk food is equal. Researchers have also found that a substance called choline helps unborn babies to form regions of the brain that are associated with memory. As luck would have it, choline is found in high concentrations in pork products and eggs, so a fried breakfast can deliver crucial brain-promoting nutrients for your child. That doesn’t mean gorging on bacon sandwiches and hot dogs. The level of saturated fats in these products will be harmful for you and your child. But it does mean eating lean pork, eggs and nuts, all of which are rich in cholines. It doesn’t matter how meticulous you are, even a perfectly-balanced diet will usually miss out on key nutrients that pregnant women require. That’s why nutritionists specializing in maternal health recommend taking the right blend of supplements throughout pregnancy. Key nutrients include iodine, folic acid and iron, all of which are hard to eat in high-enough quantities to feed both the mother and baby. Folic acid is particularly important for brain development in unborn children, so be sure to take a dose every day. However, nutritionists suggest that women should take this even further, starting a course of folic acid before they even try to conceive – so that the fetus can receive the nutrients it needs straight from the moment of conception. As scientists learn more about pregnancy and child development, they are coming to realize that maternal nutrition is crucial. 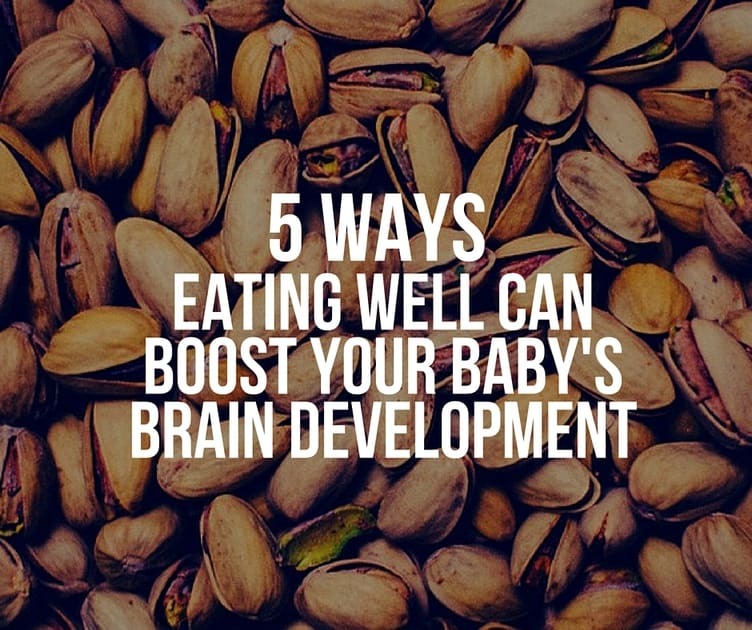 By following their recommendations and tailoring your diet to give your unborn child what they need, you can boost their brainpower and give them the best possible start in life.